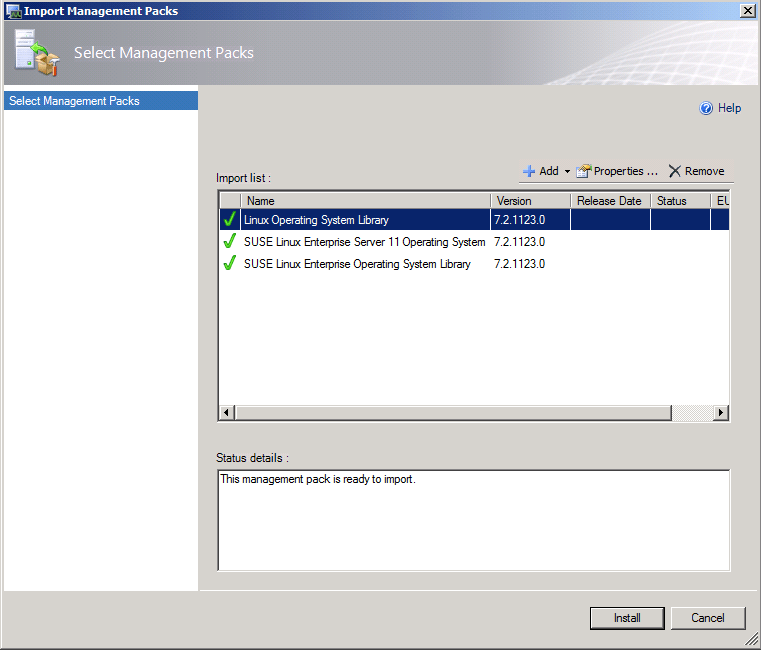 In part 1 we installed LINUX and now it is time to get SCOM 2012 ready for LINUX monitoring. Assign the RunAs accounts to profiles. 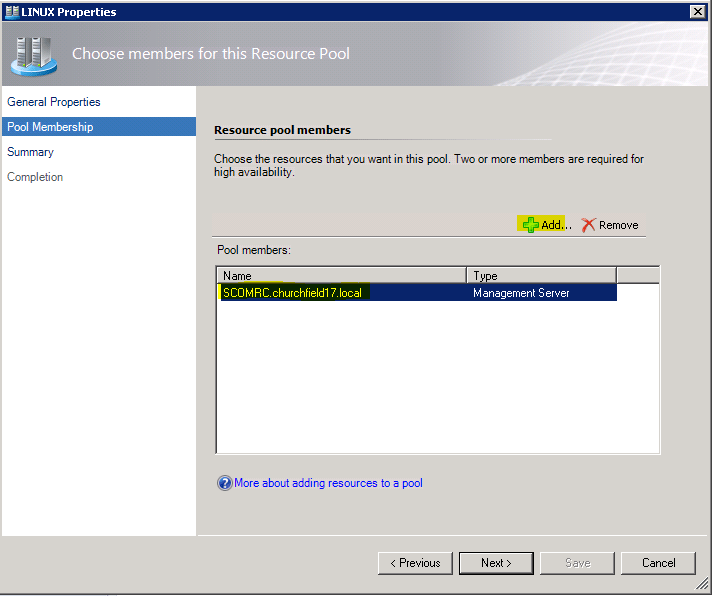 This pool groups one or more SCOM management server together to achive high available monitoring for LINUX. 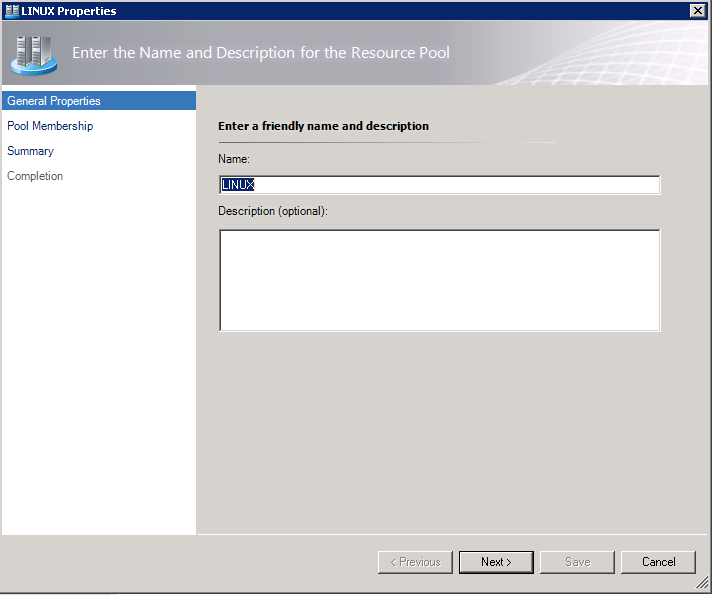 For example if one management server fails another management server in the Resource Pool will take over. 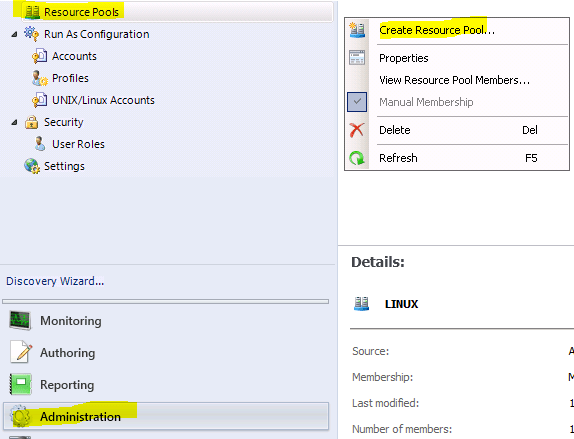 Add the management servers to the pool which are responsible for LINUX monitoring. I just have set up one management server. If you add more than one management server to the pool you need to take an additional step according to here. 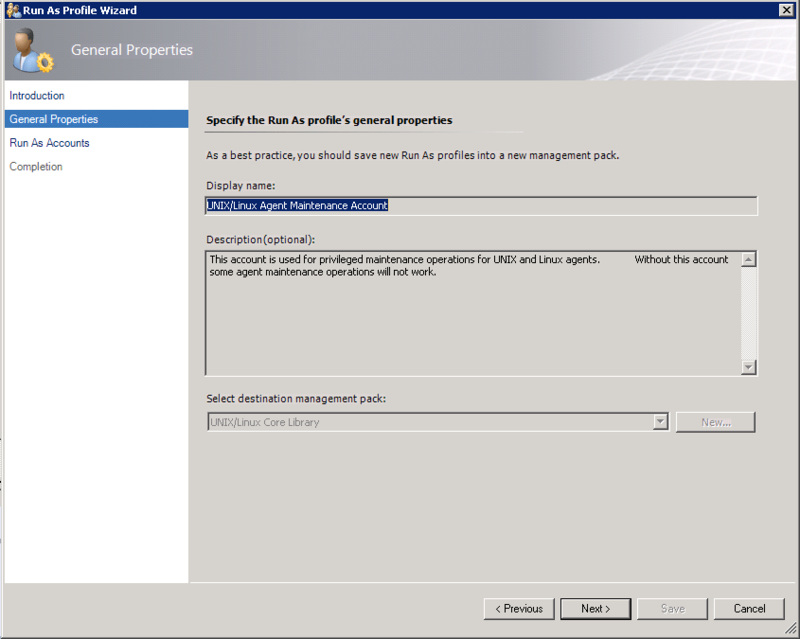 For each management server you need to export the root certificate and import each management server root certificate from every management server in the Resource Pool. 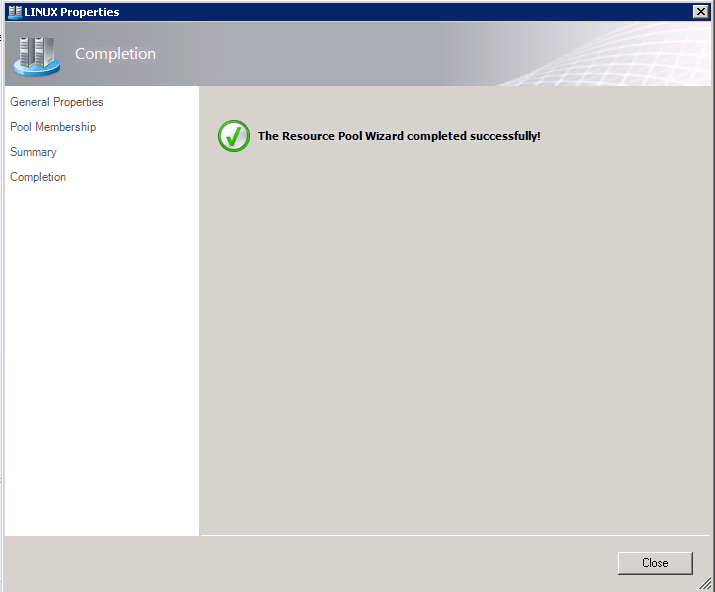 Do this after the Resource Pool wizard is finished. 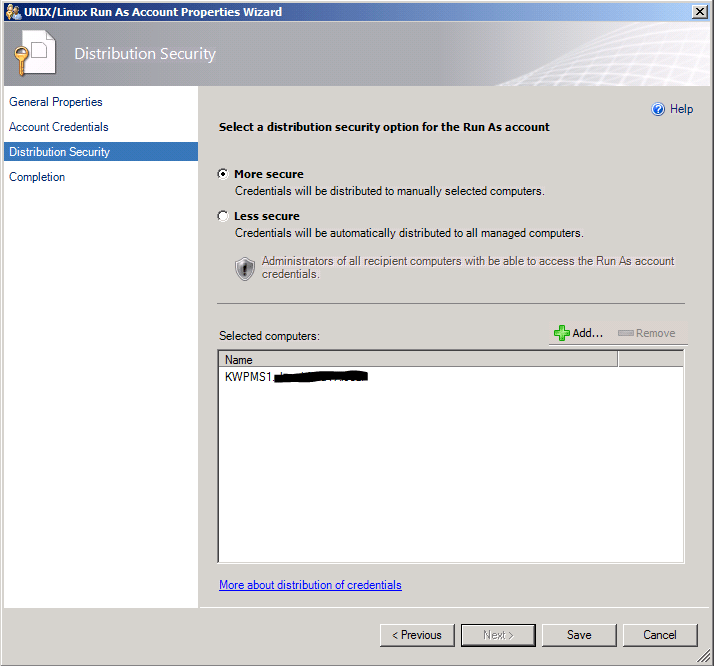 Note: If you deploy from MS1 an agent to a LINUX machine, the management server MS1 signs the certificates for the agents with its certificate. In case MS1 fails and the LINUX agent makes a failover to MS2 the LINUX agent would not trust to the new management server because MS2 has a different certificate – no communication would be possible. Because of that you need to exchange the certificates. 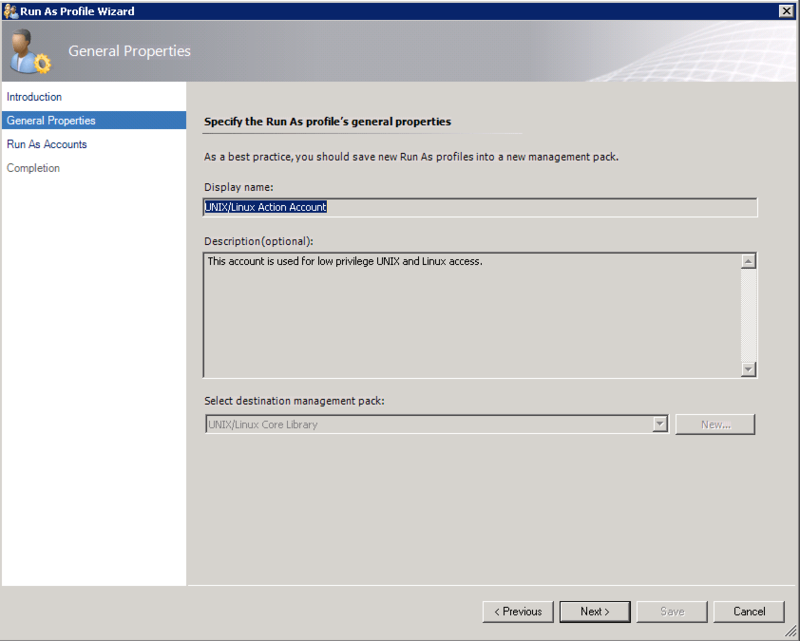 Start the management pack import wizard and choose to import MP from disk. 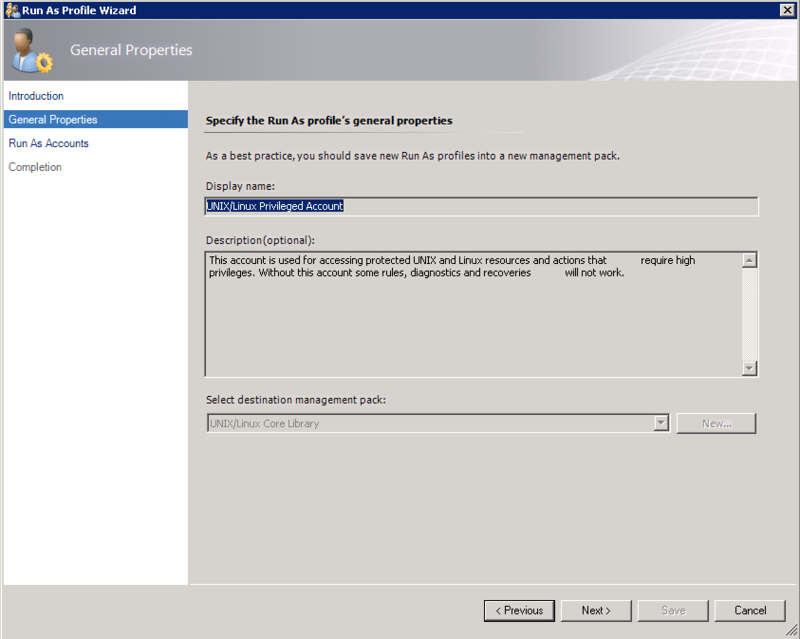 Go to your SCOM 2012 source and navigate to the Management Packs folder. Now you need to select the following MP. 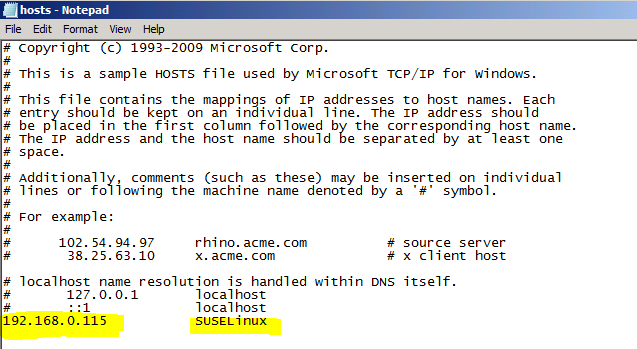 After modification ping the the name of your LINUX system and make sure the name resolves to its IP address. There are three accounts we need to setup and map these to the appropriate profile. I copied this a table out of a ppt slide from the CEP SCOM program. This shows you the accounts and what they are used for. In my example I used a user called “monuser” as used in this script which we will need in Part 3. 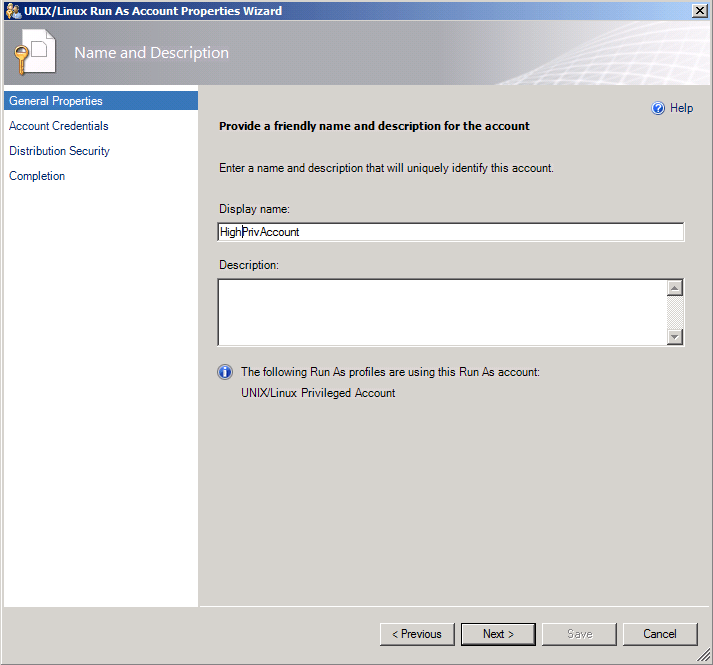 Also in part 3 we will add this user to our SUSELinux computer. For now every time you need to enter the monuser credentials choose the same password. 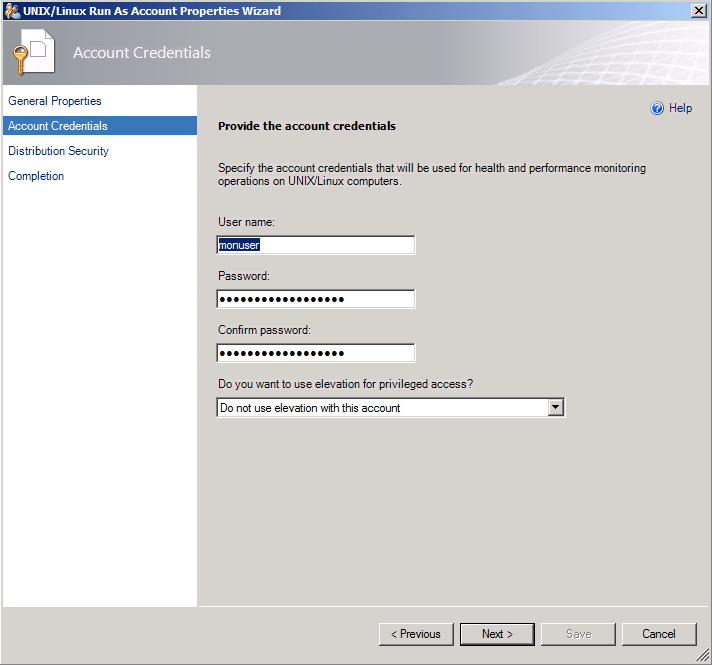 Enter the monuser credentials. Remember this user will be created in part 3, at this time it doesn’t exist. 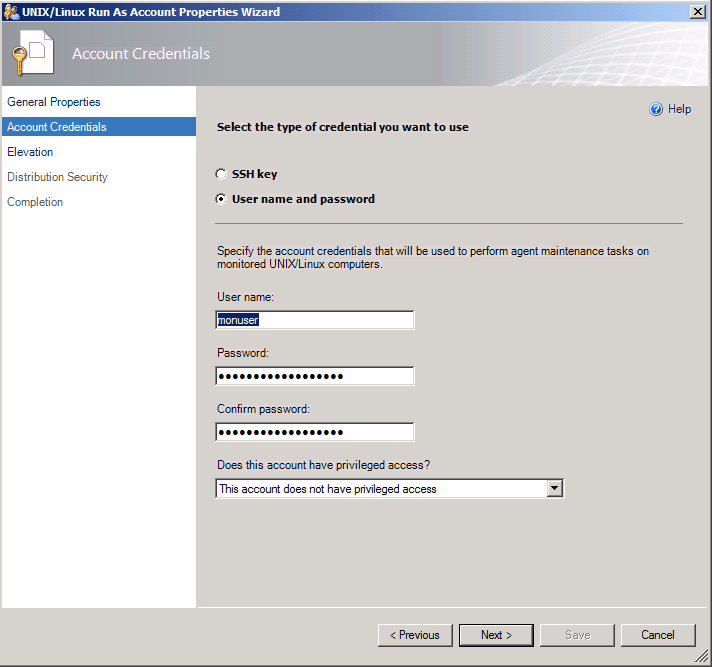 You just choose some password, but be sure to set the same password later in part 3! Now that you created these 3 accounts we need to assign these accounts to profiles. 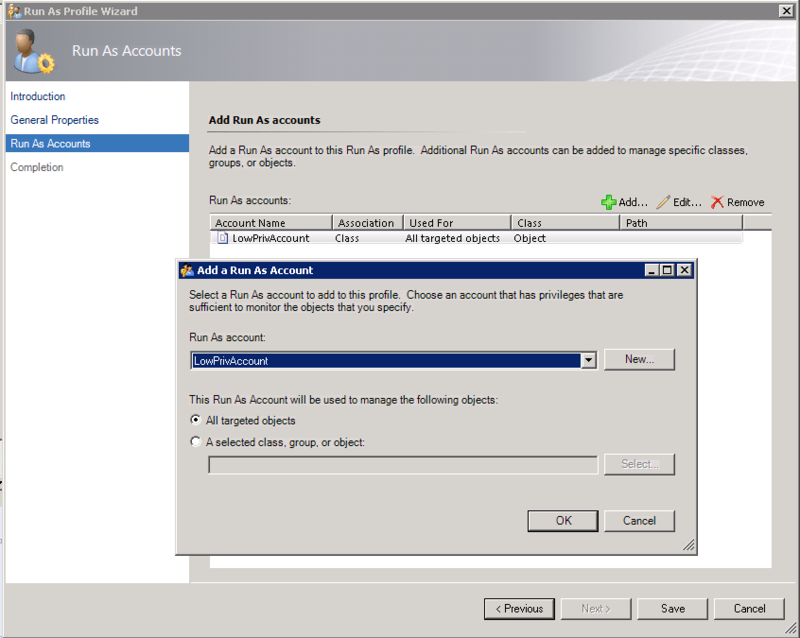 Add to each of these profile the appropriate account which we created in the step before. where is part 3 ??? Can the same management server(s) monitor both linux/unix servers as well as windows ones. Reading about resource pools for Network Monitoring, the resource pool and the management servers it contains must be dedicated to Network Monitoring. Is the same true for linux/unix monitoring? In a big distributed monitoring environment this could get expensive if the same management servers cannot reside in 2 pools (the all servers pool for windows management and the linux/unix resource pool) and do monitoring for both. Well it depends :). If you have a large Environment of Linux machines then it is best practice to assign dedicated management server(s) in a dedicated resource pool for Linux. If you just got a few Linux computers and also Windows computers you can share this pool for both tasks. 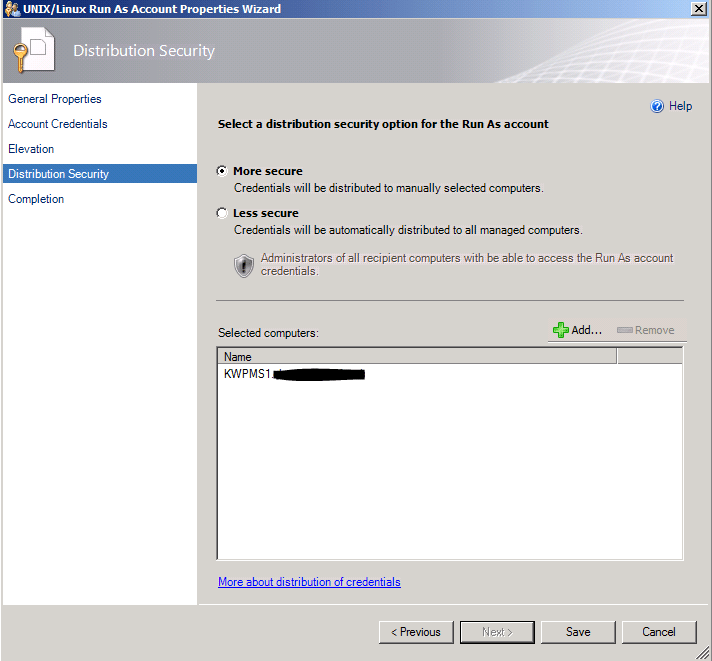 Technically a management server can reside in multiple pools. 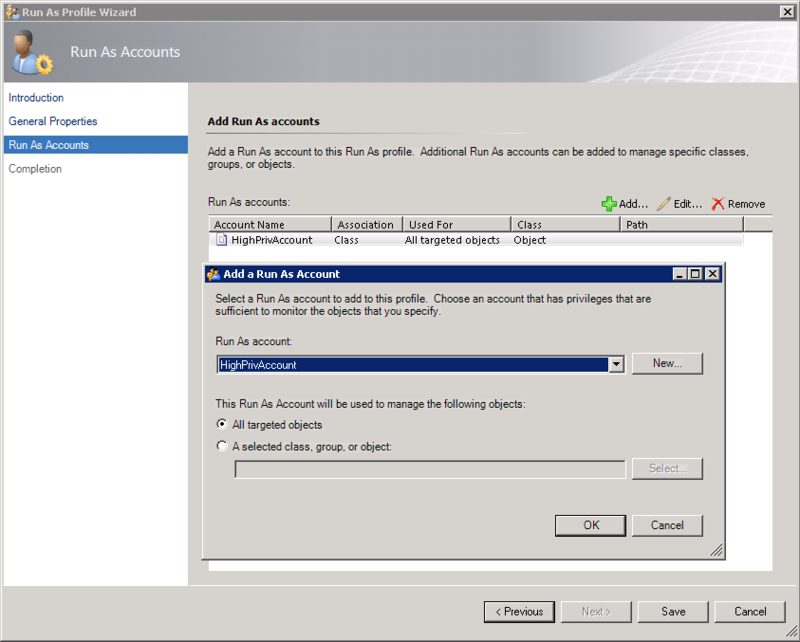 Im confused is this to allow us to Add red hat servers to SCOM so we can manage alerts from there, sorry very new to SCOM and struggling to add Red Hat Servers to the application. 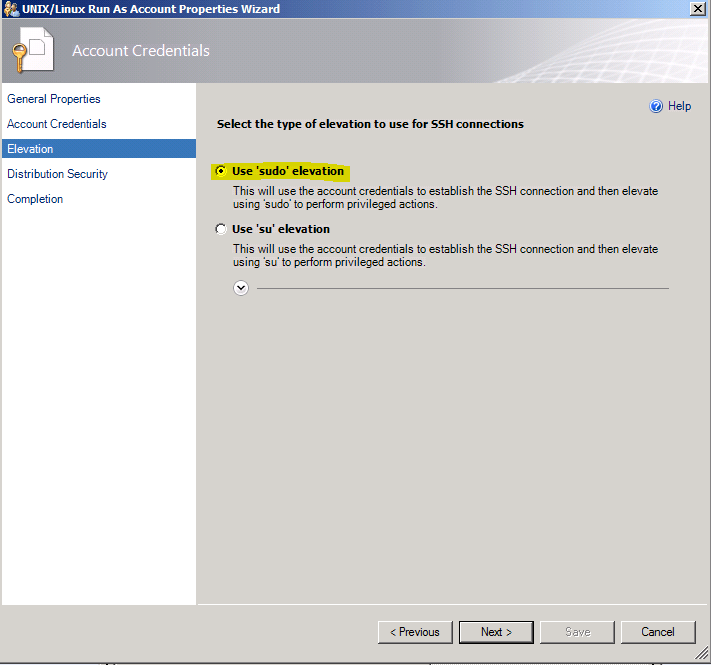 This post Shows you how to integrate Linux machines into SCOM and which steps you need to take. 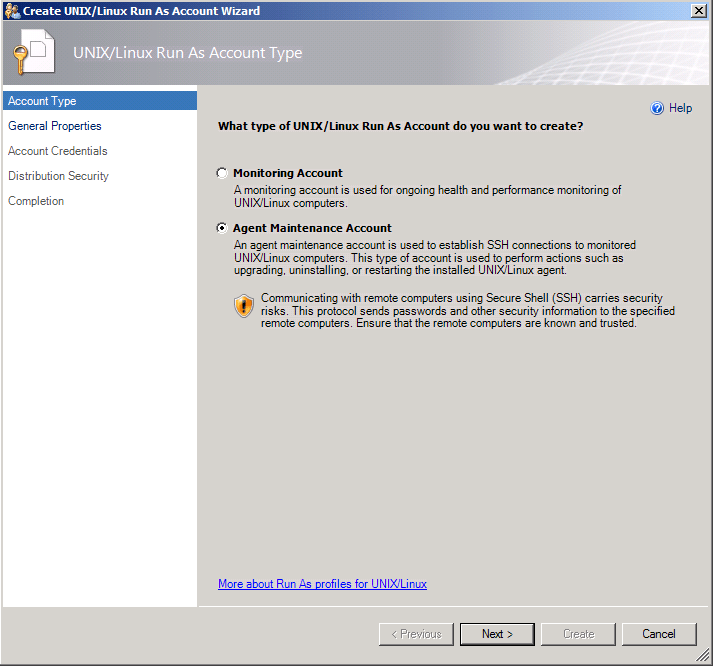 As you might know SCOM is for monitoring Windows systems and in SCOM 2012 there is better support for monitoring Linux systems. 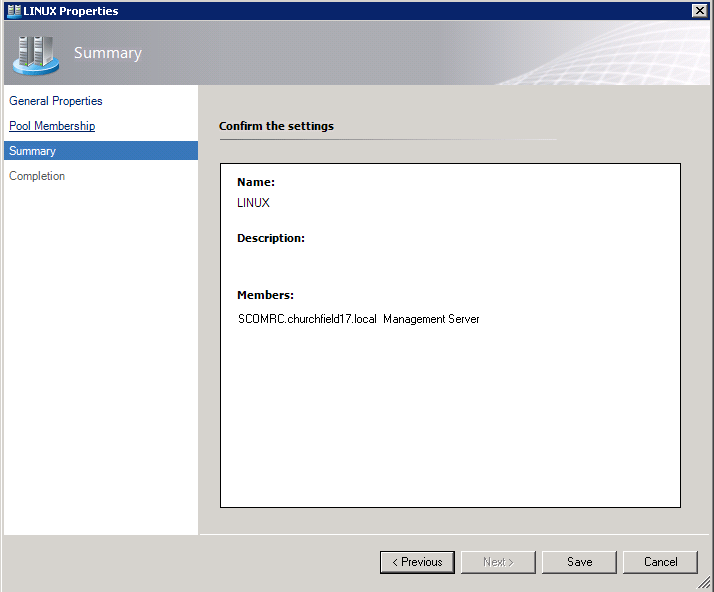 Finally the Linux systems will show up in the SCOM console and there will be basic stuff monitored as network adapter, disk space, memory, processor etc. 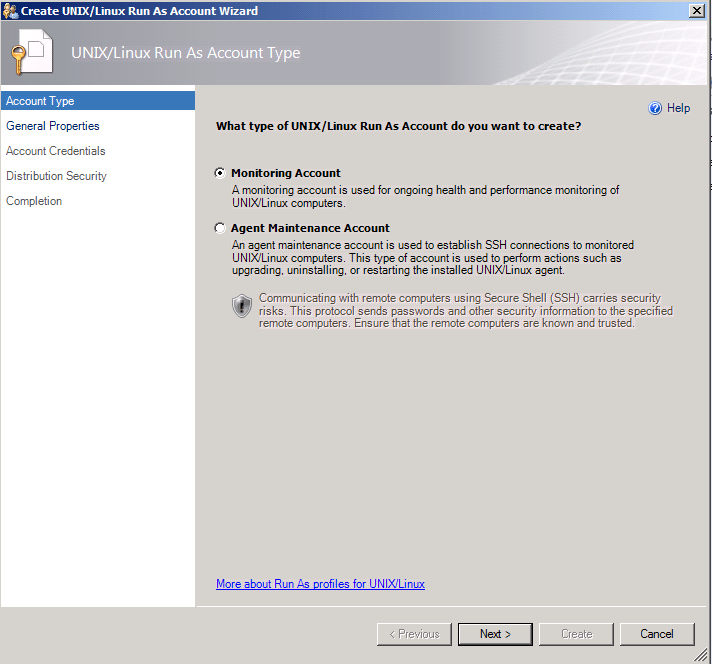 Great guide on adding Linux monitoring. 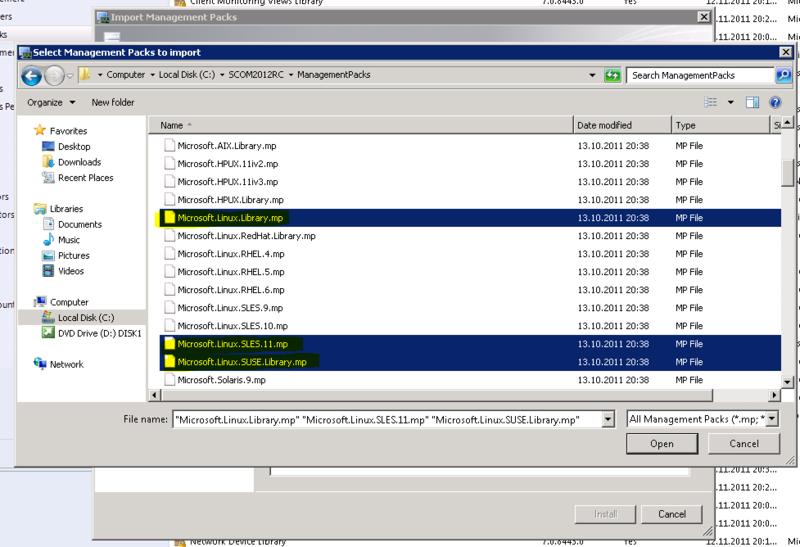 However (and I don’t know if this is a SCOM 2012 SP1 feature is) when importing the management packs make sure to import the appropriate .MPB file as well (in this case it would be the Microsoft.Linux.SLES.11.mpb located on the installation source). 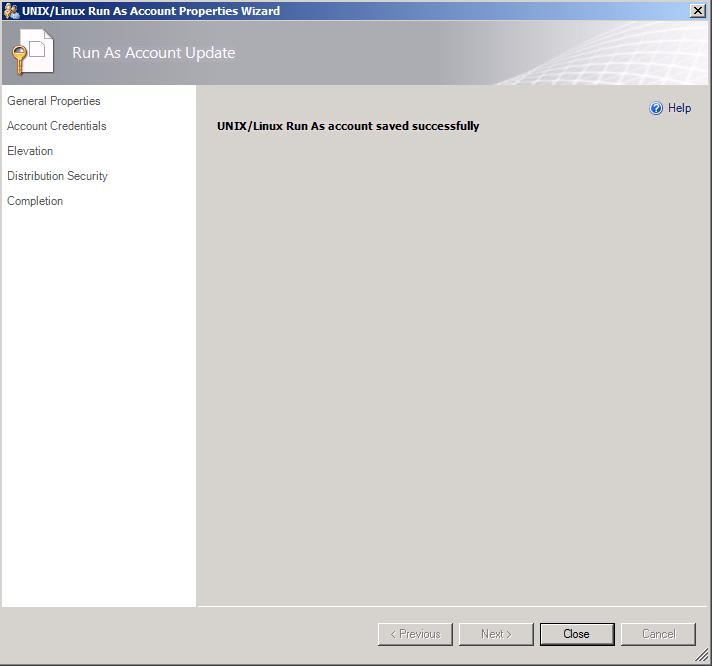 This MPB file contains the agent installation sources for the specific Linux distribution. Thank you for your comment, you are right concerning management pack bundle files. Can i get a list off all MP for unix/linux? I have imported MP from the Console for UNIX/Linux, but what is currently available on these MP is not what our company is looking for. Any other suggestions for advanced monitoring for UNIX/Linux?